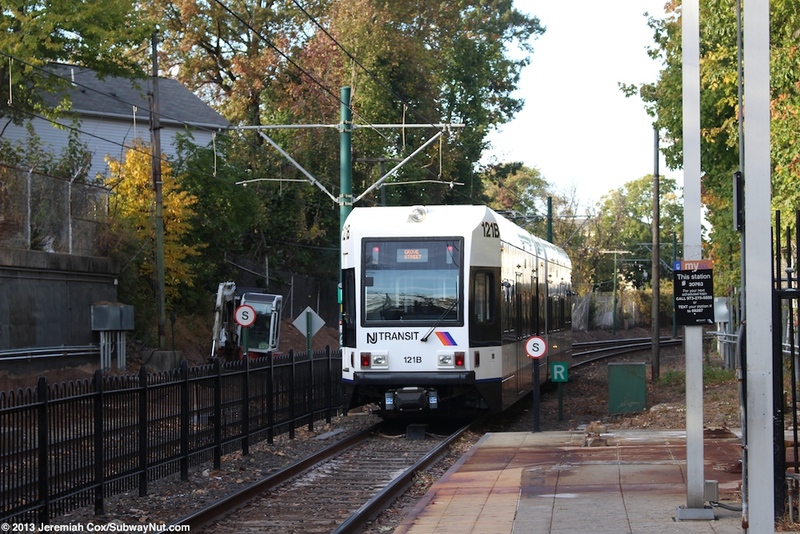 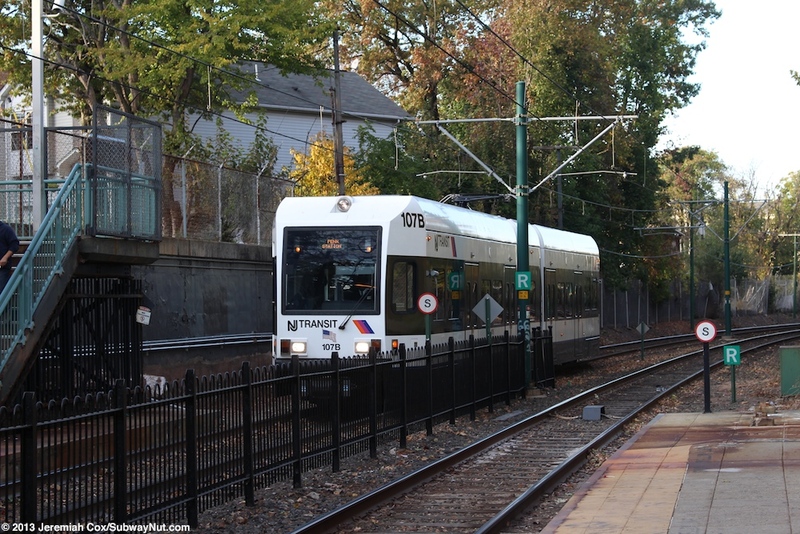 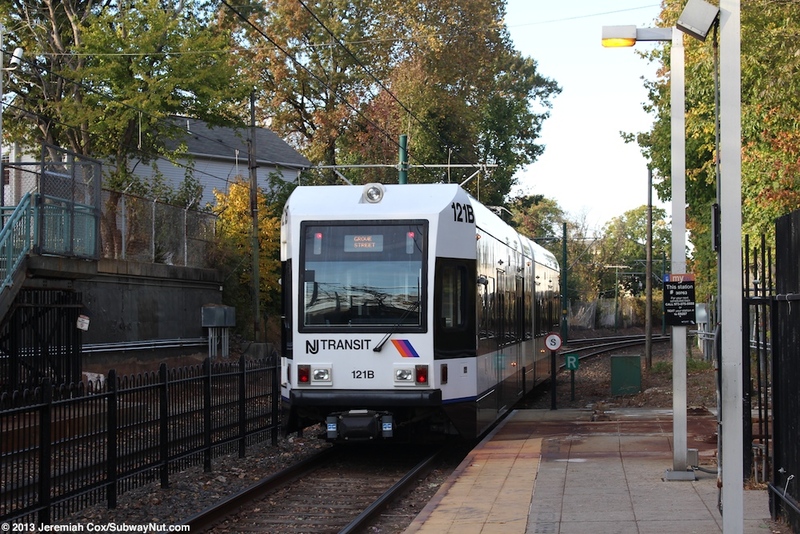 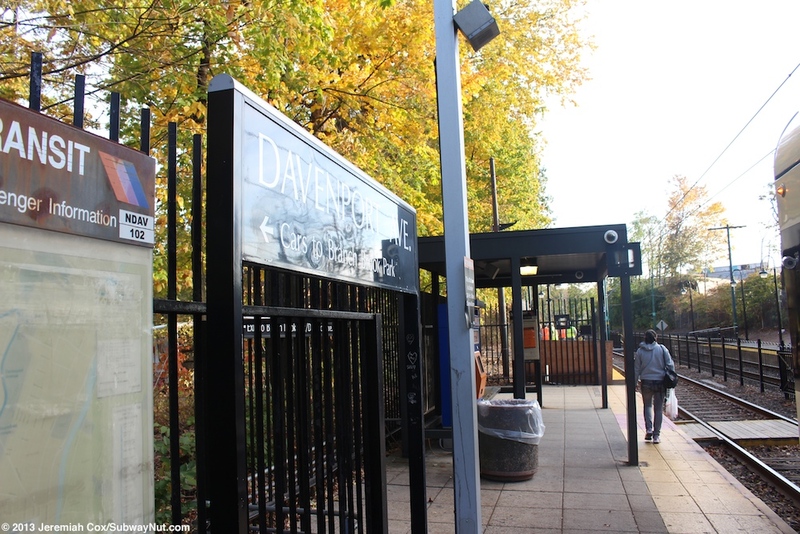 Home<Around New York City<Newark City Subway<Davenport Ave.
Davenport Avenue is a station along Branch Brook Park between the park and a local neighborhood, not anywhere near the crossing of any local streets. 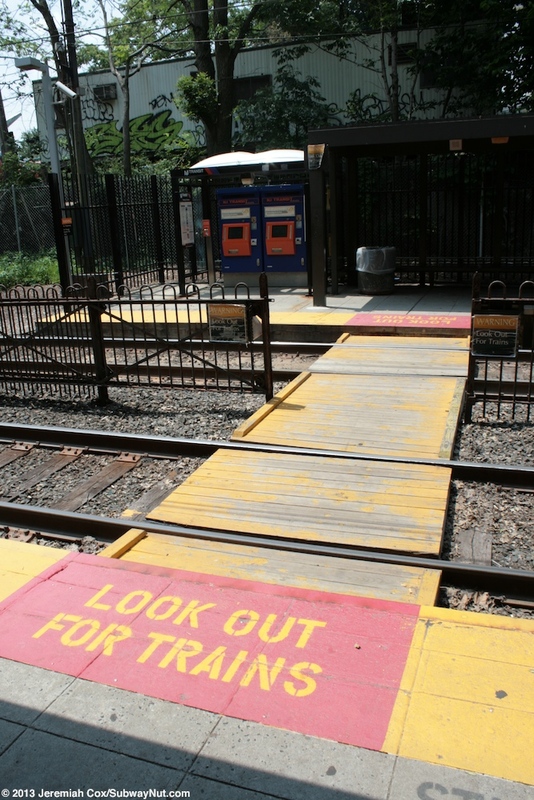 The station originally had two side platforms connected by a footbridge. 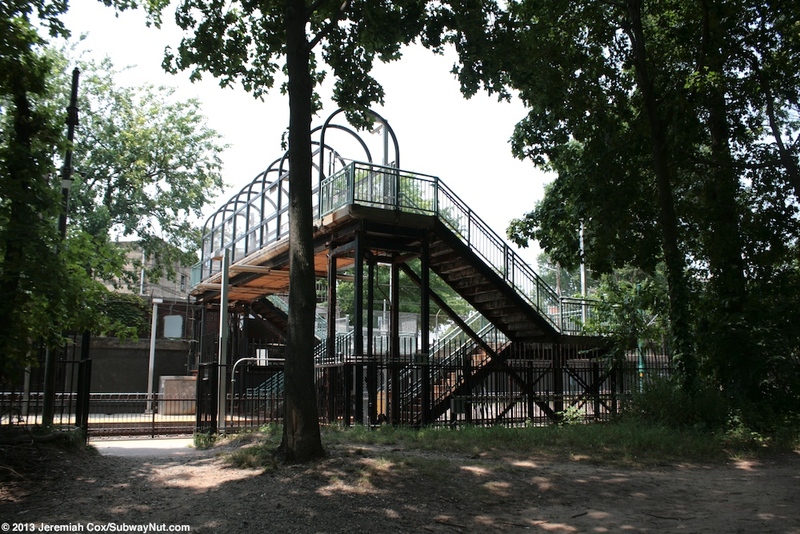 On a 2011 visit this footbridge was closed and replaced by wooden pedestrian crossing of the tracks. 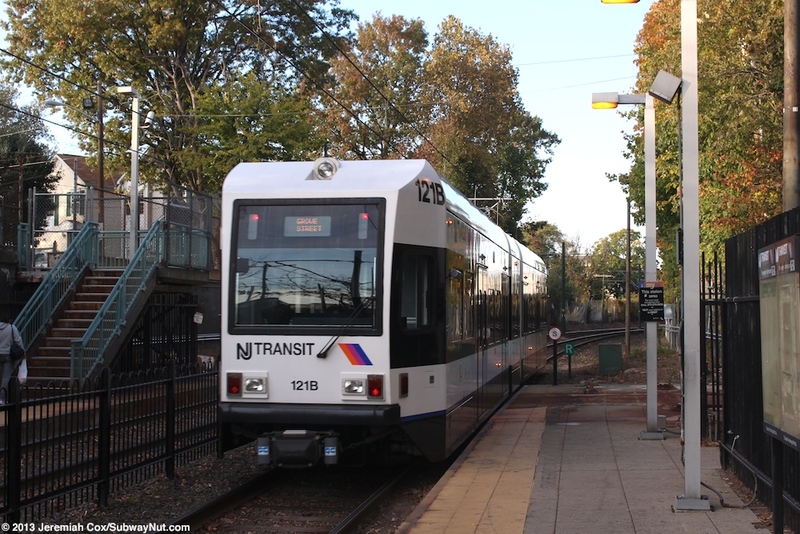 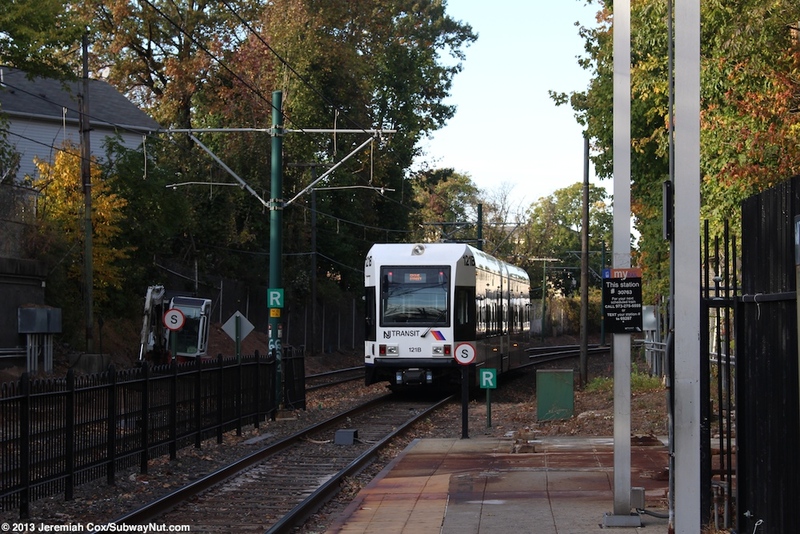 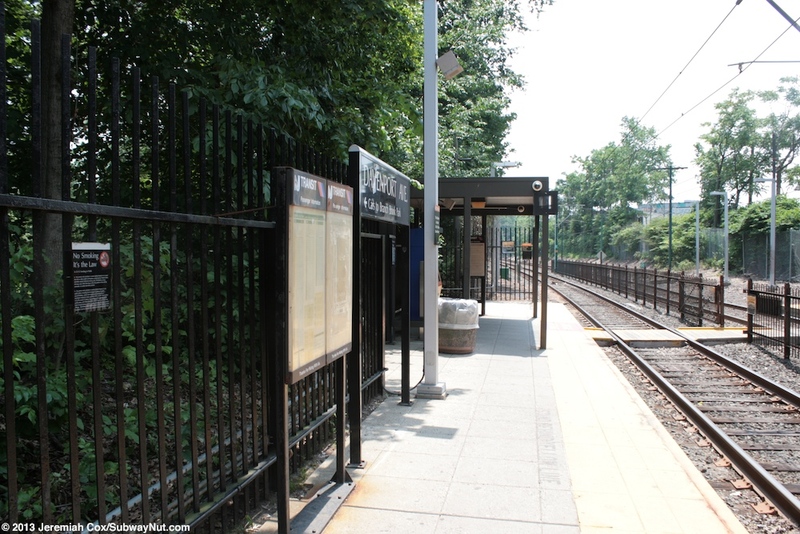 By 2013 it has been demolished and a platform extension is under construction that will result in level boarding and a new ramp entrance and ramp grade crossing making the station ADA accessible. 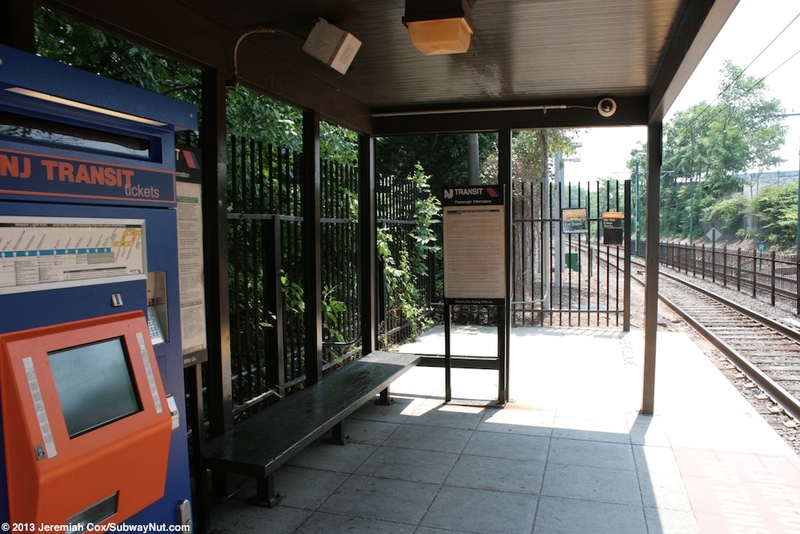 The current platforms each have a single extra wide and more exposed single bus shelter that covers TVMs. 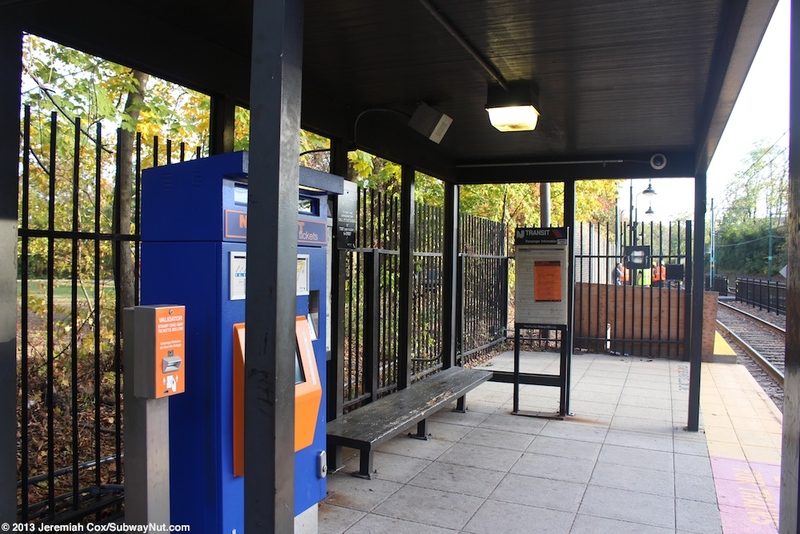 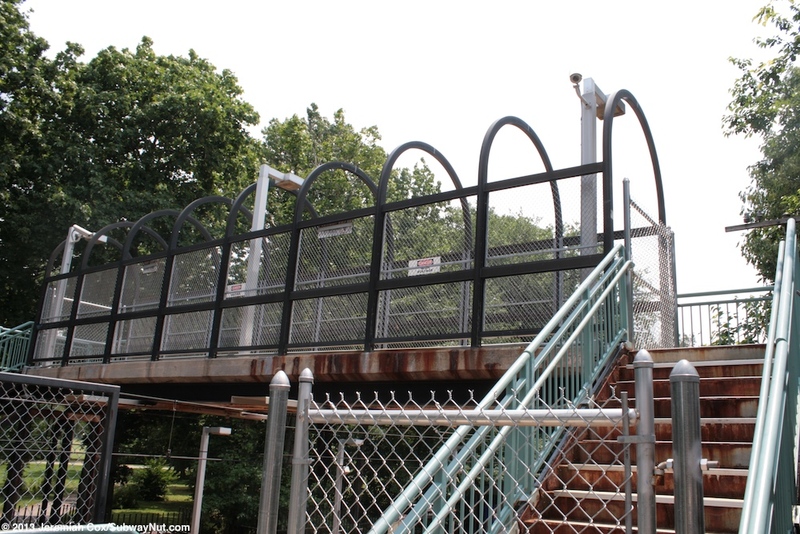 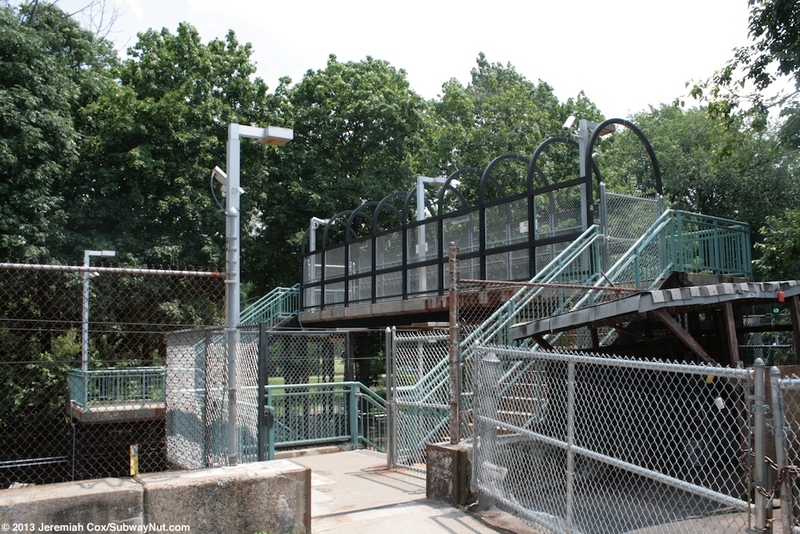 Access is provided via a short staircase (that is the remains of the former footbridge that continued up another half-staircase to reach the bridge level) up to the dead end of Davenport Avenue near North 5th Street to the Penn Station-bound platform. 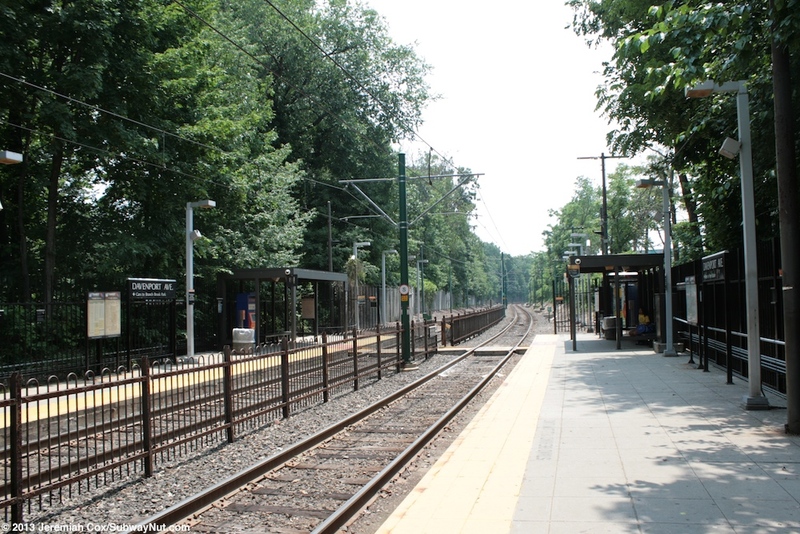 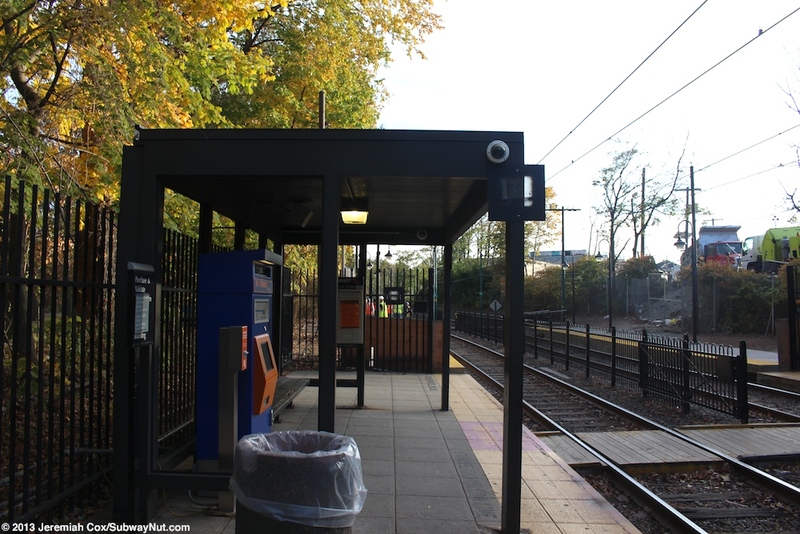 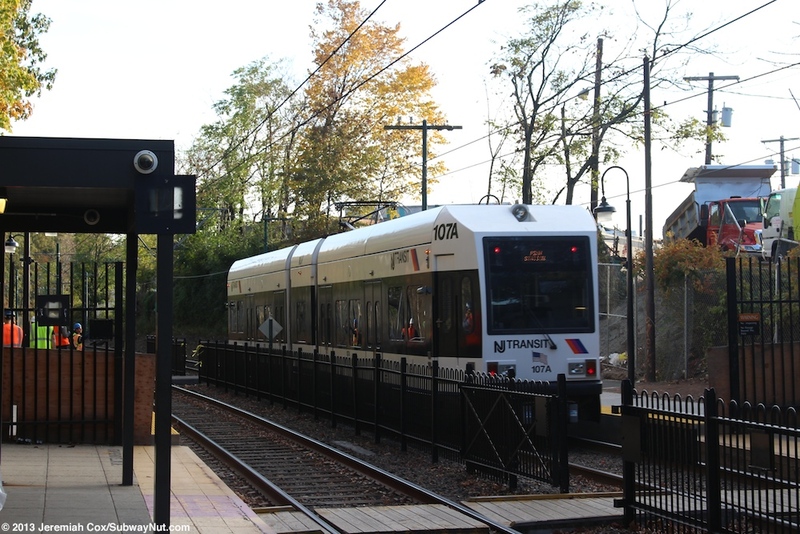 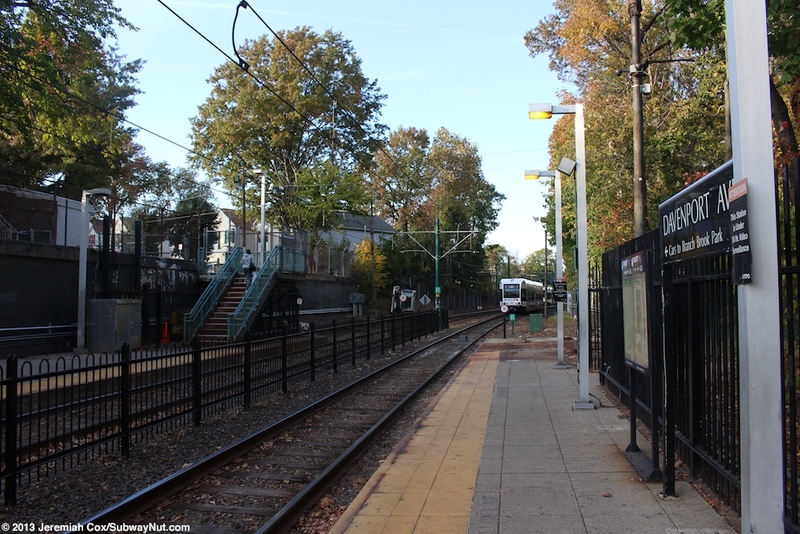 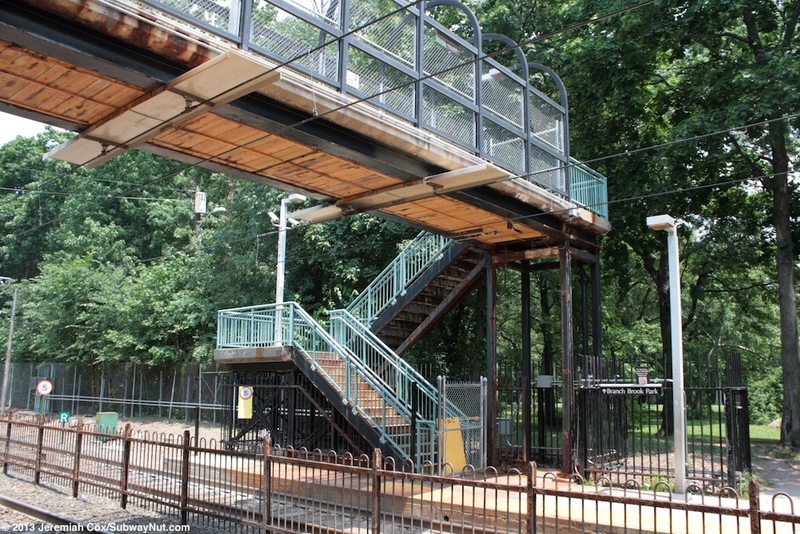 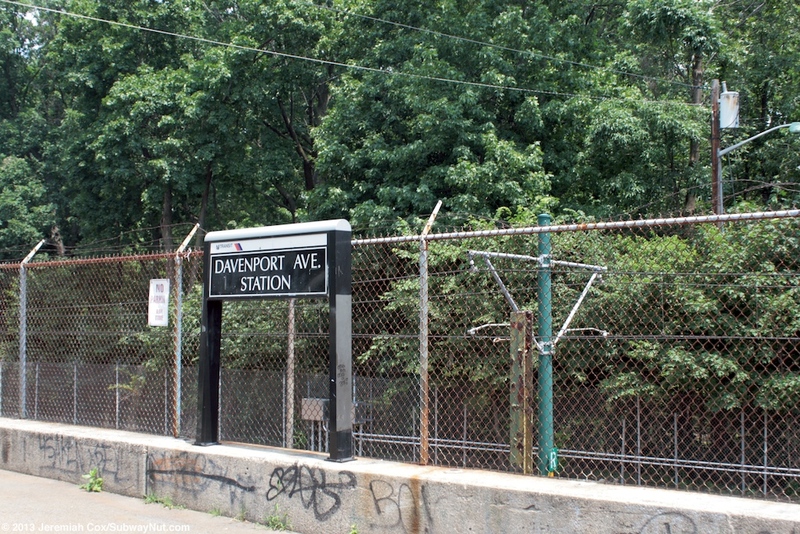 The Grove Street-bound platform has an additional exit directly from the platform directly into Branch Brook Park that is along it. 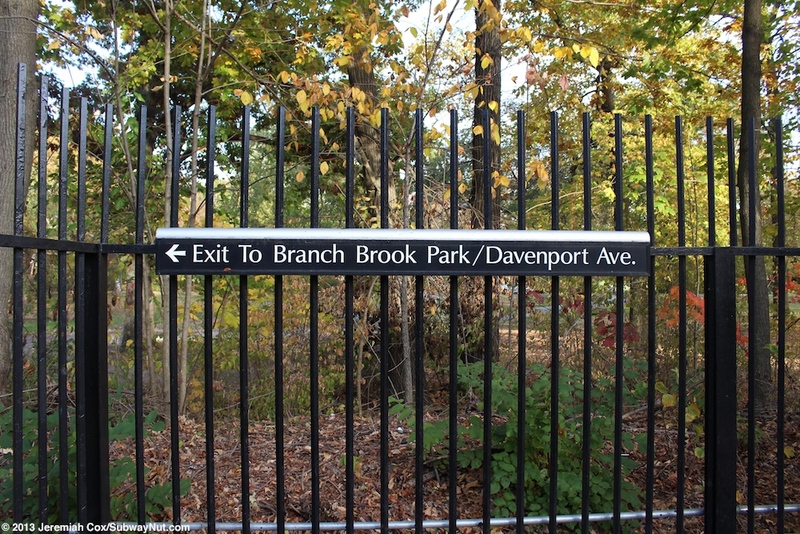 Sign for the exit to Branch Brook Park/Davenport Ave.